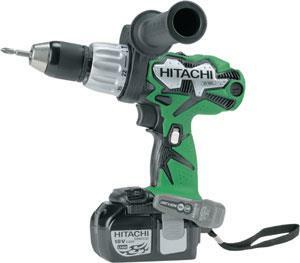 HAMMER DRILL, 18v CRDLS 1/2"
18 volt cordless driver/hammer drill. No-load speeds = 0 to 200/400 rpm. No-load high speeds = 0 to 900/1,800 rpm. Impact rate = 0 to 21,000 ipm. Maximum tool torque = 570 in. lbs. MAXIMUM DRIVER TORQUE - 570 in. lbs. Weighs 4.9 lbs. with Lithium-Ion battery. Includes 2 batteries and charger. * Please call us with any questions about our hammer drill 18v crdls 1/2 inch rentals in Oak Grove MO, Blue Springs MO, Independence MO, Lexington MO, Odessa MO, Independence MO and Western Missouri.